Buy LED Foot Lights Online! 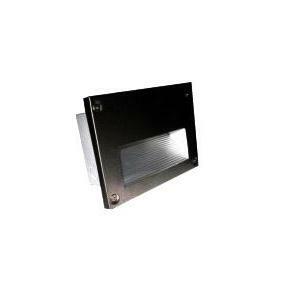 Footlights are commonly used in passages, staircases, pathways and driveways to provide illumination. To help you create a warm ambience in the area, Moglix has come up with a wide range of LED footlights. The lighting sources that are available in this category are made from high-quality aluminium and are ideal for use in lighting landscapes, staircases and pathways. They are available in a number of grades such as square, vertical and rectangular. These LED footlights are available in a wide range of colors ranging from blue and amber too green, red, cool white, warm white and neutral white. Apart from LED footlights, we also deal in different types of LED lights such as LED bulbs, LED torchlights, LED downlights, LED strip lights, LED modules, LED batten lights, decorative lights, lamps, ballasts, chokes and starters. To buy footlights online, check the new range available at Moglix. A foot light is a type of theatrical lighting which is used to offer illumination to a stage from the stage floor’s front end at the front of the curtain. The new range of foot lights are set in the form of troughs across the stage’s end ad are not visible to the naked eye. At Moglix, we are aware of the importance of LED foot lights within theaters. Therefore, to meet up with the needs of theatre owners, we present an exciting collection of foot lights. Floor lamps are also available as a part of the collection. These lighting sources have been sourced from well-known brand like Philips, Havells, Crabtree, Anchor, and more. Come, create a perfect ambience at theatres using our new range of foot lights. Looking for attractive range of foot lights for home? To help you give your room a fresh new look, Moglix presents an exciting range of products in its LED footlight online range. Breathe a new air of freshness to your home’s illumination using the exciting new model of foot lights. The foot lights which are available at Moglix have a high lumen output and are energy efficient. They are vibration and shock resistant. The mounting bracket can be utilised for direct surface mounting or be reversed and utilised for chain hanging. They have been specifically designed for people to replace or upgrade from fluorescent equipped fixtures and offer better light output and longer lamp life with minimal maintenance costs.